TRENTON, N.J. (Bloomberg) -- Tesla Motors Inc. will be allowed to sell its electric cars straight to consumers in New Jersey, after Republican Gov. Chris Christie signed a bill overhauling the state’s dealership laws. Christie on Wednesday said he signed legislation allowing direct sales by manufacturers of zero-emissions vehicles. The law requires Tesla to maintain a service center in the state where consumers can have their cars fixed. The governor previously said he would sign such a bill. The measure caps a yearlong struggle by Tesla and its supporters to allow the sales. New Jersey’s Motor Vehicle Commission voted unanimously in March 2014 to bar direct sales, a step dealerships said would protect consumers. 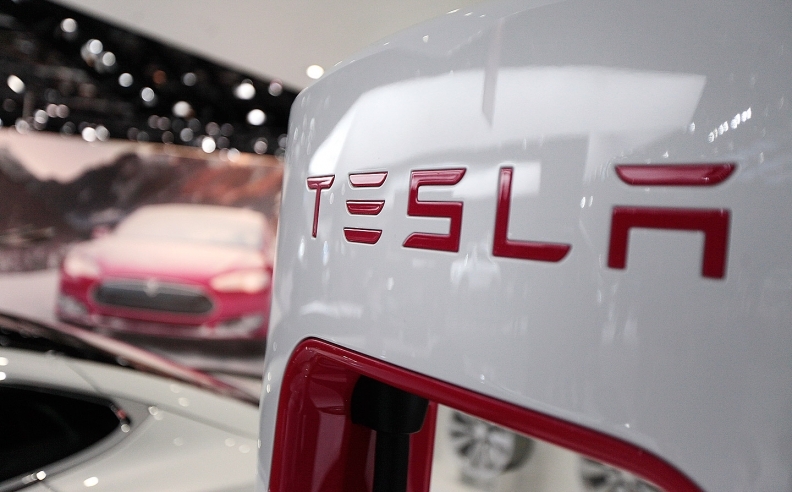 “We’re pleased that manufacturers like Tesla will now have the opportunity to establish direct sales operations,” Christie said in a statement. Tesla currently has “galleries” in New Jersey, which refer would-be buyers to New York and other states. Spokesmen for Tesla didn’t immediately respond to an e-mail seeking comment on the New Jersey law. Tesla CEO Elon Musk has criticized the argument that dealers protect consumers from car manufacturers.